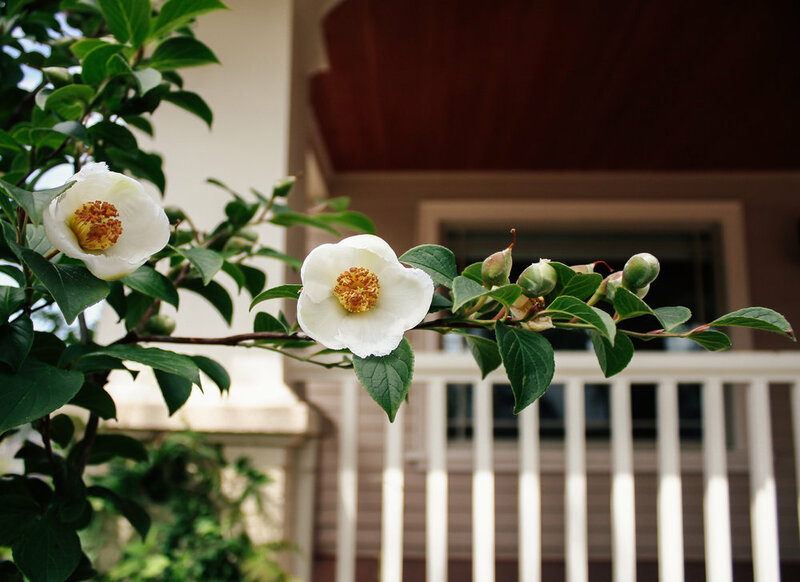 This corner lot Craftsman home needed a complete landscape renovation. We began by re-designing the front entryway to better match the character of the home, and then elevating the home from street level with a sand-finish concrete retaining wall. 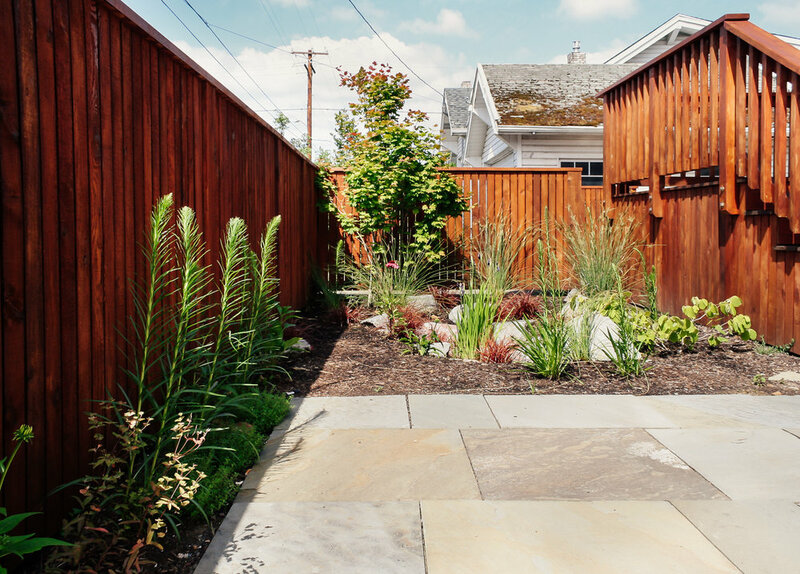 The front yard features a custom cedar-and-steel trellis fence and gate, and is surrounded on both sides by lush plantings. 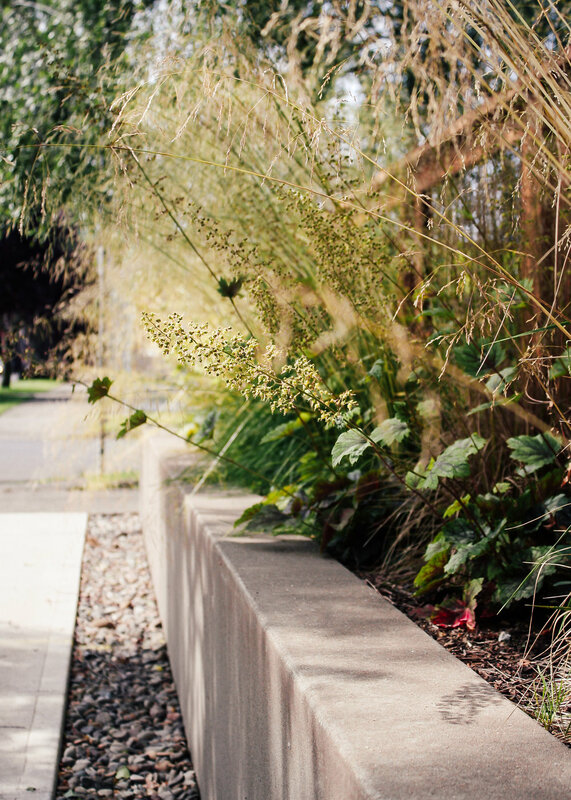 Gravel paths with steel edging wind from the front yard around the side of the property, with colorful plantings on each side from specimens like Sedum, ornamental grasses, coneflower and Hydrangea. Per the request of the client, an emphasis was placed on hardy and native plants to reduce water dependency and eliminate the need for lawn. A bluestone patio for entertaining is located alongside a rain-garden, which invites beneficial wildlife while sustainably managing stormwater. 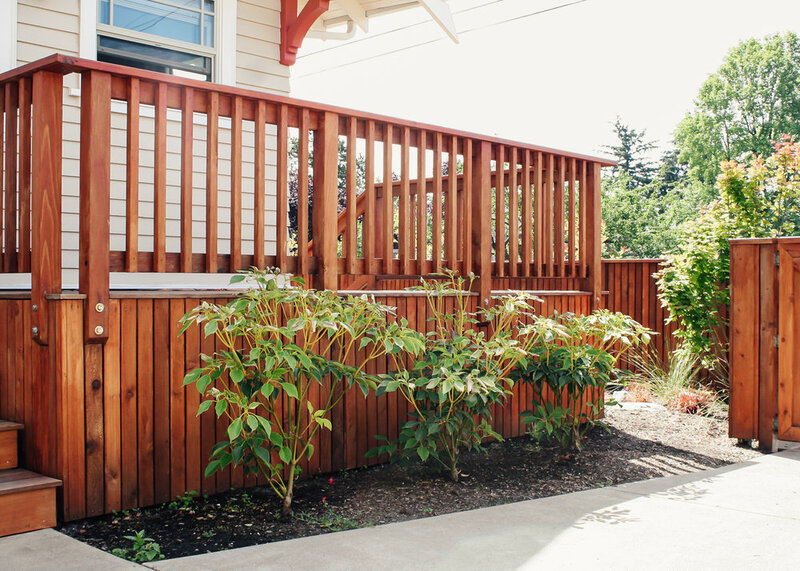 The rear of the property features new cedar fencing, driveway with gate, and Ipe deck.